Here’s what the inside scoop is for Best Buy’s Xbox One and Playstation 4 offerings are for November 28, 2014. 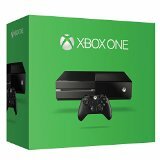 Solid Tip: These deals will be offered in-store AND on BestBuy.com with free shipping. Prices valid:November 27-29, 2014. The sales event will offer an amazing list of products on sale, “both in Best Buy stores and at BestBuy.com.” According to the company, there will be Black Friday deals and doorbusters on select laptops, HDTVs, Blu-ray players, appliances, digital cameras, video games and much more. 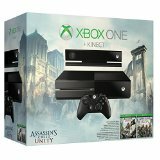 Xbox One Assassin’s Creed bundle will be $329. Unfortunately, Target is offering the same deal AND a $50 gift card (AND all gift cards are 10% for a few hours on Black Friday. you can use them starting the next day). PS4 systems will STILL be $399 on Black Friday 2014 with GTA5 and digital download of The Last of Us. Each bundle still has 1 controller. ALL games and controllers will be discounted as well. 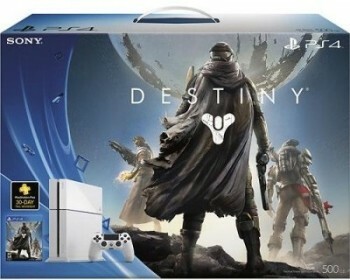 You can currently get the Glacier White PlayStation 4 Destiny Bundle with a month of Playstation Plus for 449$ at Best Buy or Amazon with free shipping. The base price of the system is $349 on November 12th. Like white but want Xbox One? No problem! 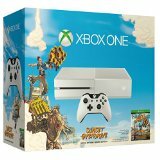 Get the Xbox One Special Edition Sunset Overdrive Bundle with the Cirrus White console and controller. This bundle might be gone long before Black Friday and it does not appear to be getting any more of a discount than the $474 that one Amazon store is selling it at. 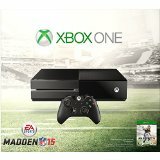 Madden NFL 15 bundle right now at $499.00 & FREE Shipping. (This one is overpriced now, don’t buy it). 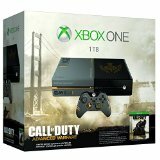 Call of Duty Advanced Warfare bundle with 1TB hard drive, starting NOVEMBER 3rd at $449.00 & FREE Shipping. 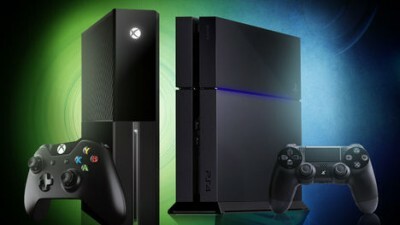 Great console and controller look, and the hard drive size is great. Don’t miss Kevin Spacey as a star of the new COD game. 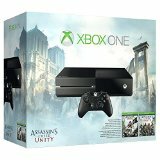 Assassin’s Creed Unity AND Black Flag bundle starting NOVEMBER 2nd at only $349.00 & FREE Shipping. There’s a Kinect version of this one for $100 more also and it includes Dance Central Spotlight. This bundle is a great one. You get 2 Assassins Creed games and its still the same price as the base system. If you want Kinect, you still have that option and get it with the Dance game included.